Minima themes has been purchased 14, rating: 4/5 based on 4 reviews. Minima Shopify theme is a clean and eye-catching theme for Shopify. It is suitable for various kinds of shops such as furniture, fashion, cosmetics, travel, apparel, watches, etc. Integrated with powerful modules like Ajax cart, Ajax Search, Mega Menu, QuickView, Popup Newsletter, Revolution Slider, etc. 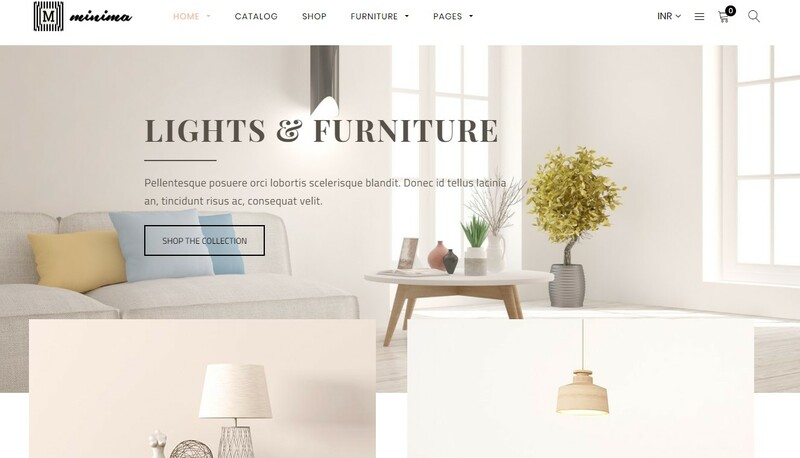 Minima proves to be the perfect theme for online stores. This theme created with the design can be compatible with any device. In addition, Minima is released with the purpose of helping store owners to solve your business better and more effectively.